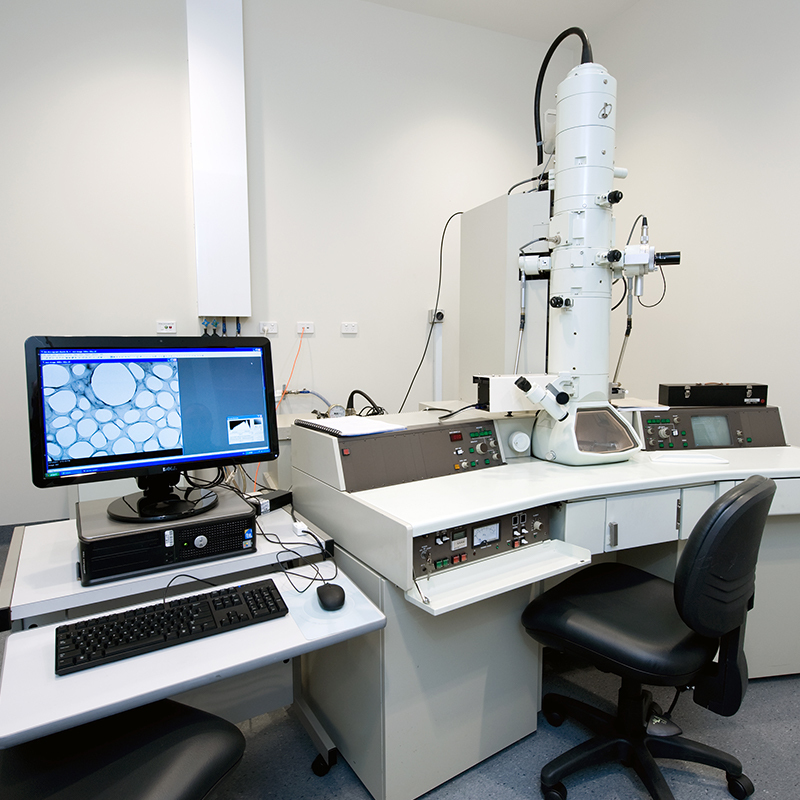 Transmission Electron Microscopes (TEMs) use a transmitted electron beam to discover information about materials at high magnification. 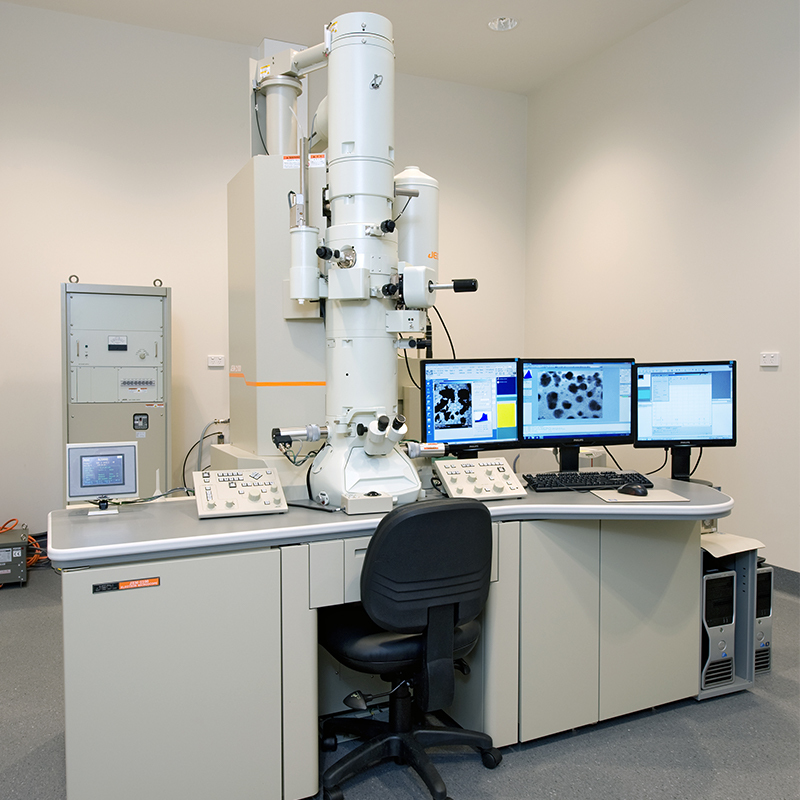 This information can include imaging up to atomic level (TEM and HRTEM), identification and mapping of elemental composition using electron dispersion X-ray spectroscopy (EDS), and characterisation of crystal structures using selected area electron diffraction (SAED). TEM samples are loosely divided into ‘soft’ and ‘hard’ matter, with a variety of preparation instruments and techniques applicable based on individual sample types within these subgroups. Soft matter usually includes biological and other organic samples, while hard matter may include synthesised samples and minerals, for example. Sample Requirements: TEM analysis of all samples types requires a very small sample size of <2um for individual particles or an ultra thin (< 100 nm) section of a biological specimen. Samples are accommodated on specific TEM grids. Samples must be non-magnetic. We strongly encourage users to discuss their samples and analytical requirements with EMX staff in advance, as sample preparation and analysis is highly specific and based on the nature of the sample.